Nicole Scherzinger Gave Us All The Tea On "The Masked Singer"
"We can say whatever the flip we want." 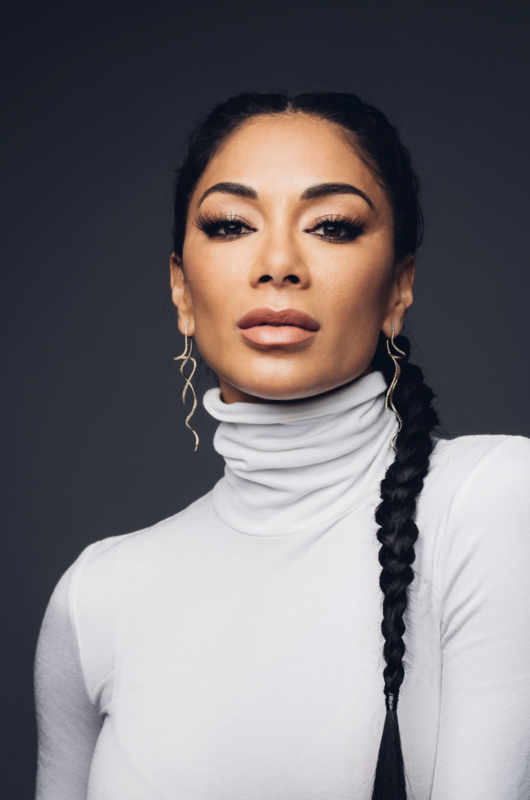 With the first season of The Masked Singer underway, we got Nicole Scherzinger to sit down and answer some of YOUR burning questions about the wildly popular new show. She broke down everything we need to know about the show, its rules, and of course, the contestants. What made you decide to join the show as a host? Are the responses from the judges pre-decided? NS: We can say whatever the flip we want. They're totally not pre-decided because have no idea what we're about to see. We're not involved behind the scenes or allowed to communicate with the contestants in any way or with their entourage. They're actually fully masked and covered in all black at all times. When we see them, it's always for the first time actually when they come on stage. Are the singers coached or trained through the show? Or is everything their own talent? NS: Everything they do is their own talent. They even choose their own songs. It's part of the objective of the show — to be able to let the contestants show a whole other side of themselves to the world that we're not used to seeing. Do you ever get to talk to the contestants one-on-one back stage? NS: Absolutely not. That would defeat the purpose. We have no contact with the contestants or their entourage. Everything is on absolute lockdown. Which judge is the best guesser? NS: I think Jenny [McCarthy] is the best guesser because it's kind of her job to interview people. She has her own radio show. She's really good with that stuff. I'm not. What if the mask were to fall off in the middle of a performance? NS: We’d probably get really high ratings... It seems like it takes hours, when we're revealing [who's under the mask]. We're like, "Take it off!" Ten minutes go by, and we're like, "Take it off already!" Can't get enough of Nicole and The Masked Singer? Tune into the show Wednesday nights at 9 p.m.!